Did you know that over three-quarters of people listen to podcasts for more than 7 hours per week? The podcasting trend has transformed from a niche among tech-savvy nerds to a mainstream entertainment powerhouse. Instead of listening to music on the go, a growing number of people are enjoying podcasts while they’re out and about. Now there are so many great podcasts available for download. For podcasters, it can be difficult cutting through the noise. Check out below our 5 simple podcast promotion tips to increase your audience. Let’s go! 84 percent of people trust online reviews as much as friends. If someone says your podcast is a must-listen experience, then people will want to check it out. You need to build up your reviews on top podcast websites, such as iTunes and Soundcloud. This is where people go to find out about podcasts. The more positive reviewers you receive, the higher up the podcast table you’ll climb. So, add the end of each podcast episode, make sure you encourage your happy listeners to review you. Don’t be ashamed! Podcasters look out for each other. It’s not unusual for podcasters to co-host each other’s shows for a one-off. This allows you to reach out to another audience. This is especially effective if you feature on a podcast which is related to your niche. Also, the podcast host is likely to allow you to big-up your podcast show while you’re co-hosting. Just reach out to similar podcasts to ask for a guest feature. If you want to make your podcast popular, then you need to put your efforts into promoting your show on social media. From Facebook to Instagram, get working on a social media strategy to promote your podcast to an audience. You can build up your podcast brand here. You can share behind the scenes clips of your shows. You can post quotes from your podcast, which get people interested in learning more. 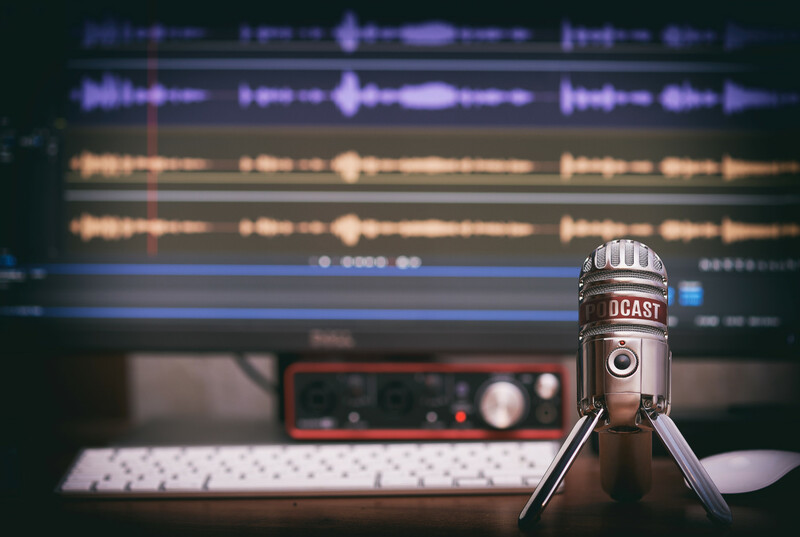 If you don’t already have a website and blog for your podcast show, then you need to set one up right away. Around 53 percent of marketers say that blogging is their top priority. That’s because an SEO optimized blog can significantly increase your ranking on Google’s result pages. And yet, many bloggers struggle for content ideas. But you already have ready-made material to transform into a blog post. You can either create a transcript of the show. Or, you can highlight your favorite bits of the podcast to help you write a blog. Make sure you also include keywords and links to further boost your SEO strategy. This helpful podcast can teach you more about SEO marketing. If podcast listeners like your show, they’ll going to want more immediately. You need to be able to commit to a regular output. You need to release an episode on a regular basis to keep your audience engaged and excited. Don’t leave your eager audience hanging after just one episode. Now that you know more about podcast promotion, you can reach an even larger audience for your podcast show. Do you enjoy listening to podcasts? Check out our podcast here.